A Staten Island woman was sentenced Tuesday to five years of probation and 200 hours of community service for climbing the Statue of Liberty on July 4. Therese Okoumou, 45, was convicted in December of trespassing. She had scaled the pedestal of the Statue of Liberty and refused to come down in protest of President Donald Trump's zero-tolerance immigration policy that divided families at the southern border. 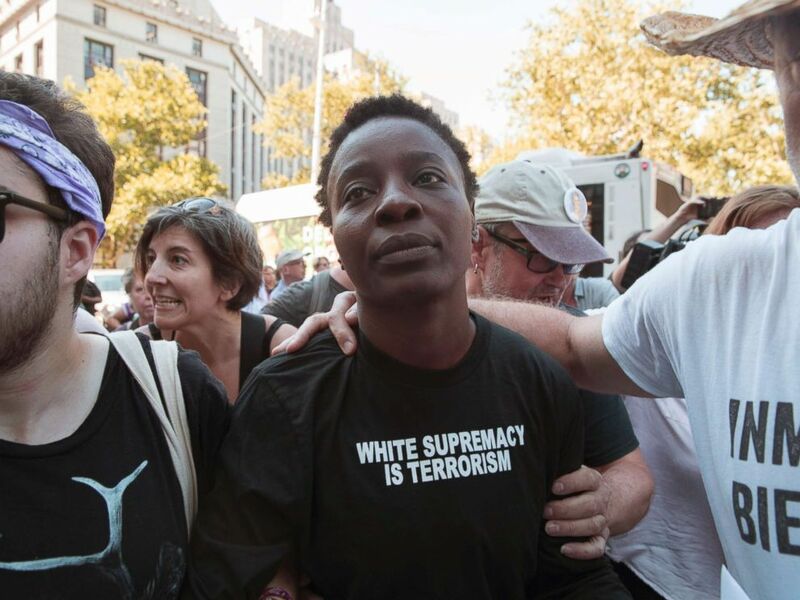 Therese Okoumou is surrounded by supporters as she leaves Federal court, Thursday, July 5, 2018, in New York. 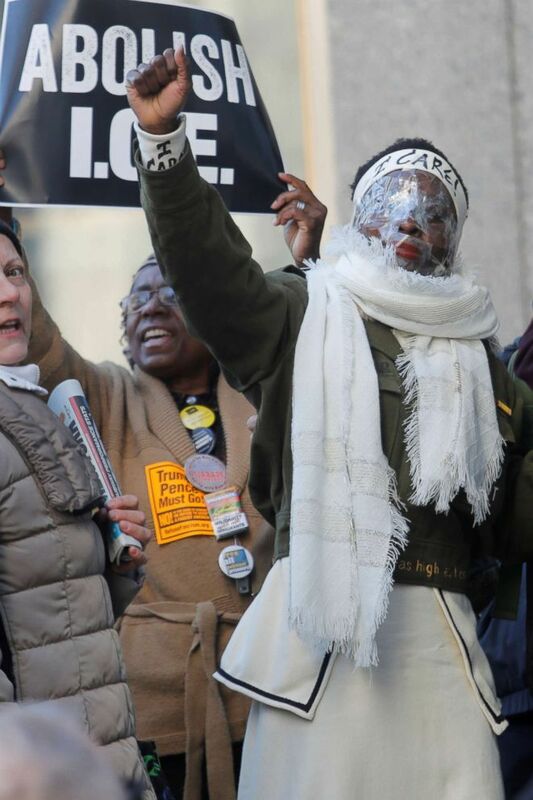 Okoumou arrived for sentencing at Manhattan federal court on Tuesday with tape over her mouth to protest what she said were limits on her freedom of expression. Magistrate Judge Gabriel Gorenstein ordered her to take the tape off before sentencing could begin. 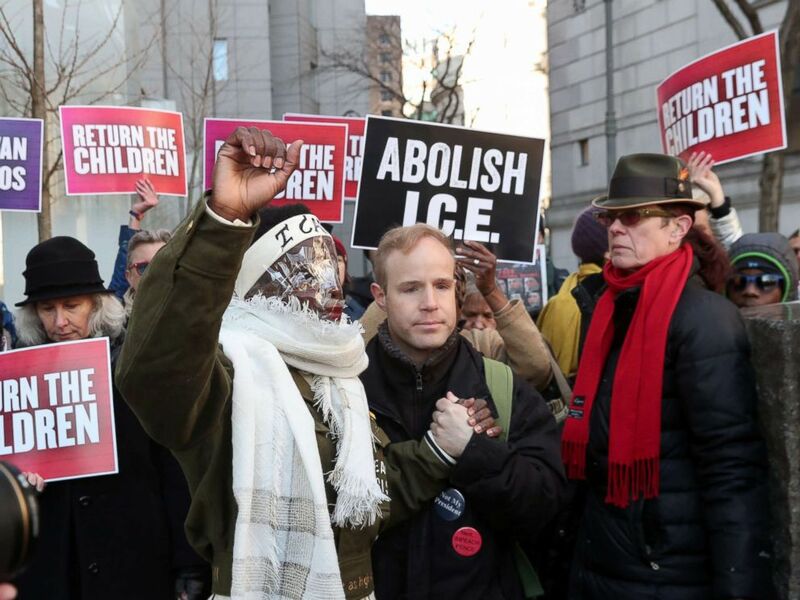 Therese Patricia Okoumou arrives for her sentencing for conviction on attempted scaling of the Statue of Liberty to protest the U.S. immigration policy, at federal court in N.Y., March 19, 2019. Okoumou's lawyers had argued her protests created no danger, that jail time for a Statue of Liberty protest would be unprecedented and that jail would prevent her from getting a job, which the judge had encouraged her to do. U.S. Attorney Geoffrey Berman, who was in the courtroom for Tuesday's sentencing, said in a statement in July that Okoumou "staged a dangerous stunt that alarmed the public and endangered her own life and the lives of the NYPD officers who responded to the scene." A woman appears to be climbing up the Statue of Liberty, July 4, 2018 in New York. 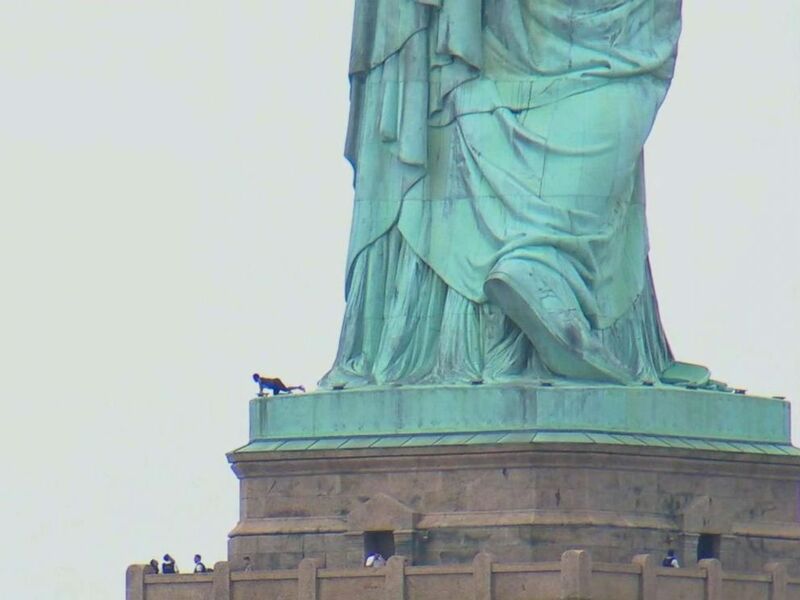 The judge had previously asked for a field trip to the statue in order to view the spot where Okoumou perched for three hours, causing the evacuation of 4,300 people from Liberty Island during the holiday.